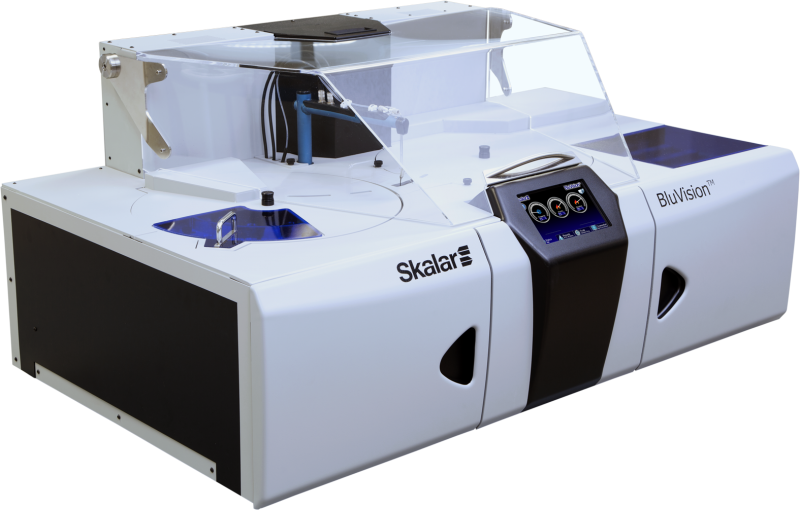 Skalar will launch a new automation technology; The BluVisionTM discrete analyzer, for the analysis of basic colorimetric parameters. 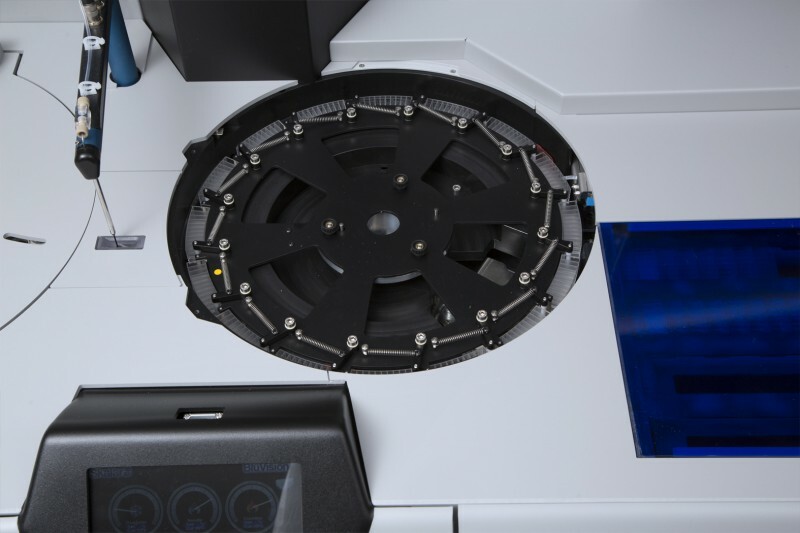 The BluVision has 100 sample positions divided over 5 racks of 20 samples each. 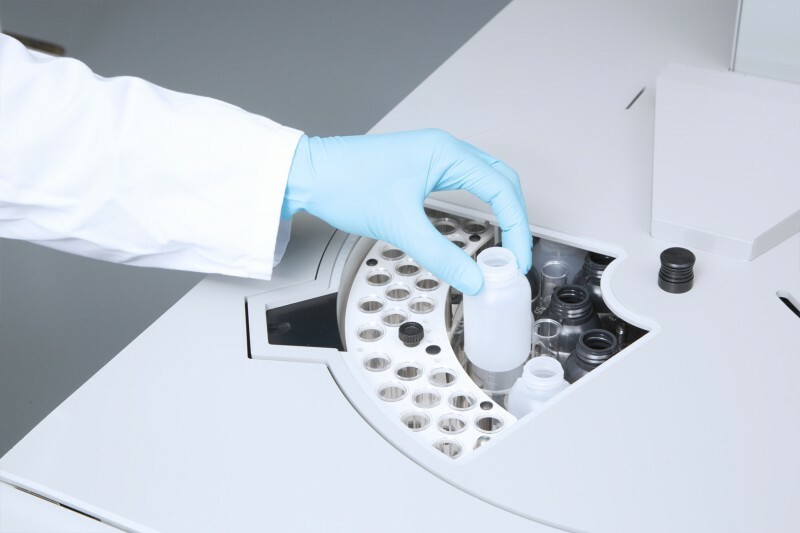 Sample volumes can range from 3.5 up to 10 ml. 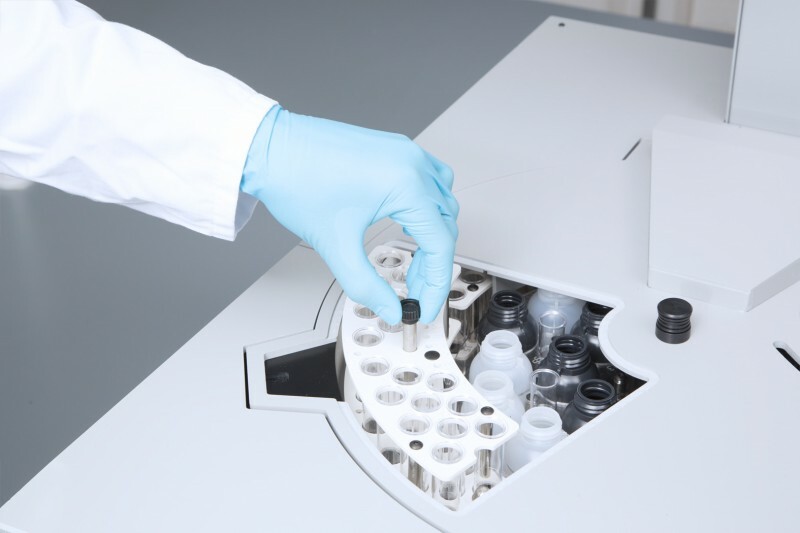 For reagents, (stock) standards and QC’s the analyzer has 24 positions of 50 ml and 8 positions of 10 ml. 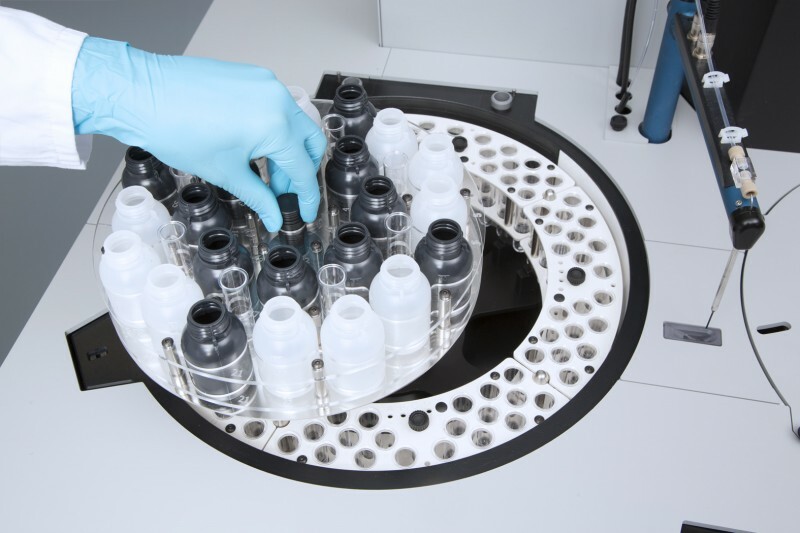 The sample and reagent racks can be cooled during the analysis run. 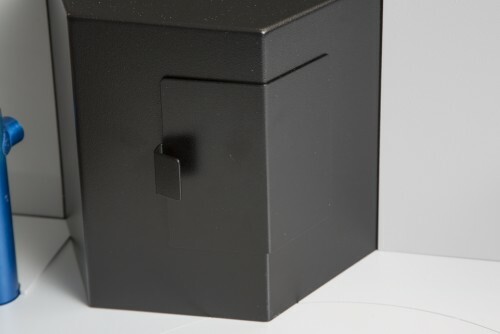 The detector of the BluVision analyzer is equipped with a halogen light-source and a filter wheel containing 8 filters with different wavelengths. 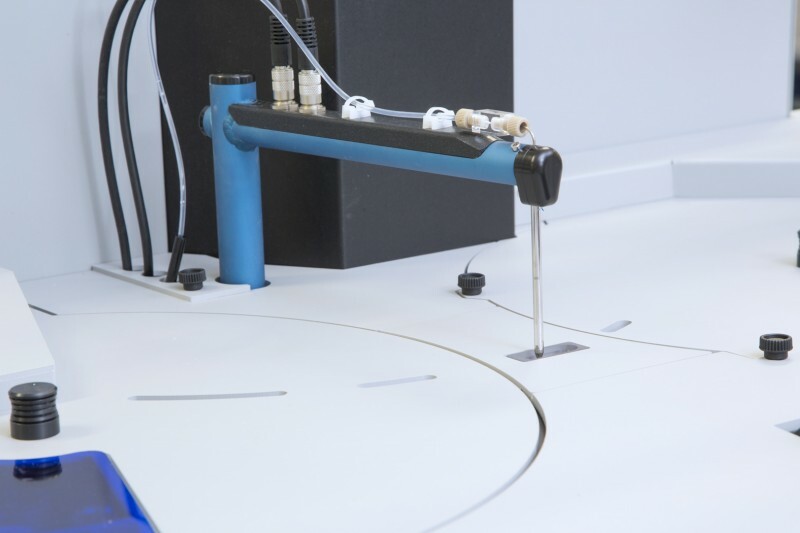 The BluVision is therefore capable of running more than 8 different parameters in one run without any operator intervention. 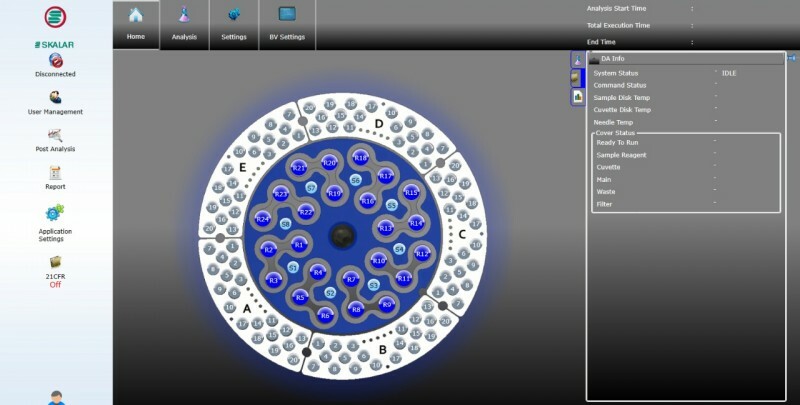 The filters can be easily changed for different parameters. 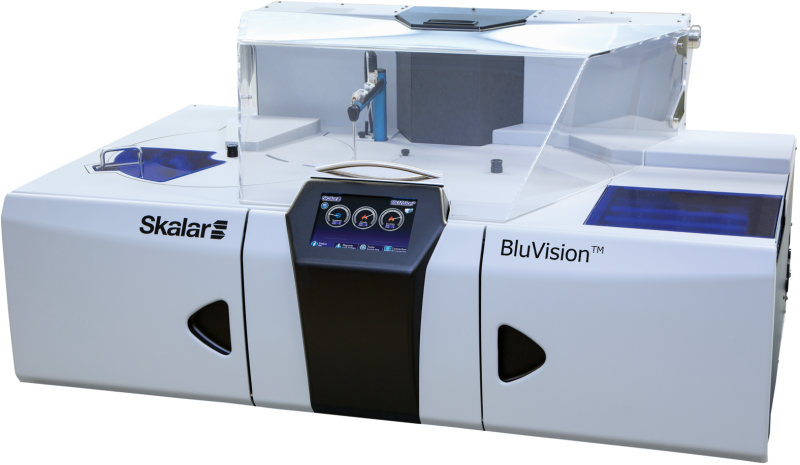 The BluVisionTM discrete analyzer is fully computer controlled. 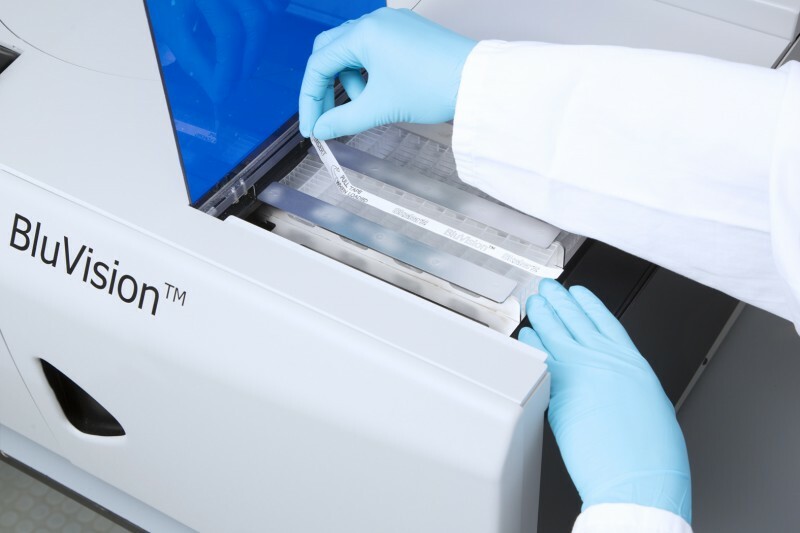 The instrument has got an integrated touch screen display, which provides all relevant instrument information, for example analyzer status, temperatures of the cuvette and sample trays. 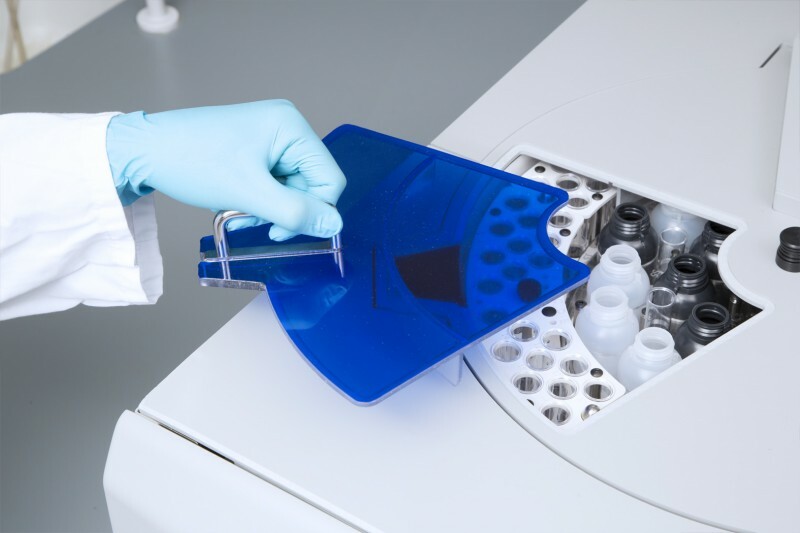 In addition, a range of tasks can be executed from this display, like loading cuvette blocks, changing filters etc. 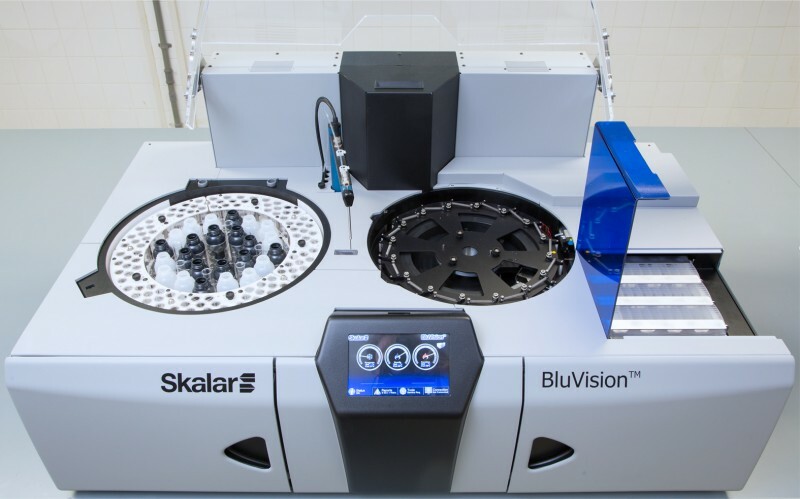 The BluVisionTM is ideal for the analysis of many different colorimetric analyses on a variety of sample types and matrices found in today's environmental laboratories. 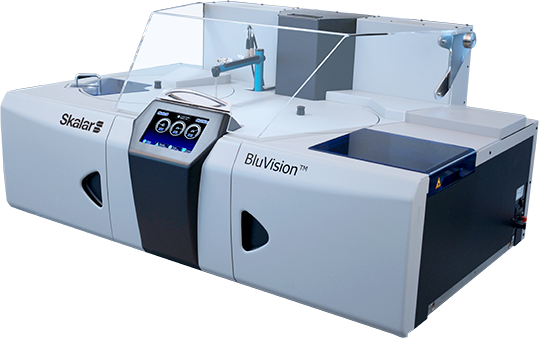 Typical application areas for the BluVision are for example drinking water, wastewater, ground water and surface water.